There is one thing you should know about me: my first and favorite style icons are Mary Kate and Ashley Olsen. I have idolized these girls and their fashion for over twenty years. To me, the Olsen twins can do no wrong when it comes to their aesthetic, their business sense, their social presence, their professional accomplishments… pretty much anything. So, it is with great joy that I share the next step in their empire: The Row’s flagship store opened in Los Angeles. This announcement inspired me to create a post celebrating The Row and Other Olsenisms. Since these ladies have a body of work that spans over half a century, it’s safe to say this post will just brush the surface and be one of many posts dedicated to the duo. For the other Olsen-devotees out there like myself here are three Olsenisms for you! I know, I know. Not another Olsen beauty tutorial! I’ve read a lot (I mean A LOT) of Olsen beauty how-to’s over the years. I distinctly remember an article from Girl’s Life magazine (well over ten years ago) featuring the twins with beachy, tousled tresses using salt spray (NOTE: always way ahead of the trends). I insisted my mom make a hair appointment for me and took the magazine to my hair dresser saying, I want THAT! One of the best I’ve read as of late is The Coveteur’s interview with Olsen stylist Mark Townsend. Read here. I’m OBSESSED with this I Wish I Was an Olsen Tee in the Nylon Magazine Shop. Let’s all buy one and wear it proud. I have a Pinterest board devoted entirely to my beloved MK + A. Enough said. By now you probably know I’m big on fashion collaborations, and the industry seems to be overflowing with them right now. Most recently, Kate Hudson’s capsule collection of LBD’s debuted at Ann Taylor and Zooey Deschanel’s capsule collection with Tommy Hilfiger hit stores. From what I can tell these stylish partnerships are on the rise, and I’m here to keep you up to date. So without further ado, here are 5 current fashion collaborations! Shoe addicts, brace yourselves. The fun and quirky British shoe designer Sophia Webster has collaborated with J.Crew on a spring shoe collection. The line consists of 13 ultra feminine and fabulous shoes that might just break the bank with prices from $320 to $695 (however, it’s worth noting these shoes are a mere fraction of the price of Webster’s own collection). If you’re a true Carrie Bradshaw, you’ll skip the Starbucks, pass on happy hour, and pay rent late this month just to snag a pair of these snazzy shoes. The line launched yesterday and is available to shop in store. 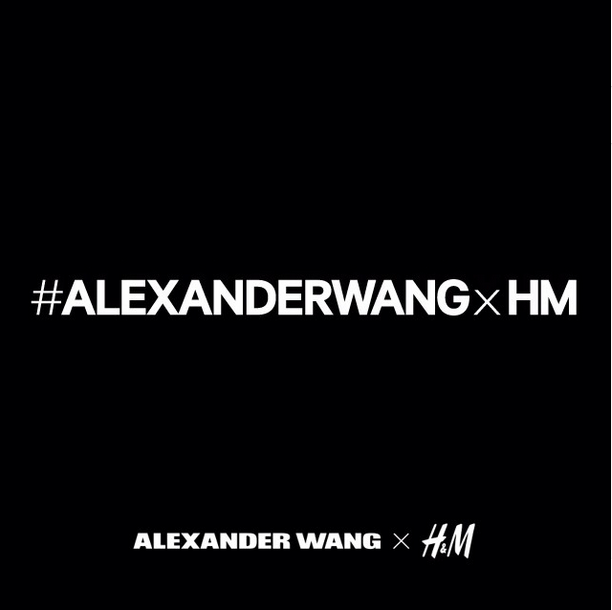 A little over a week ago Alexander Wang shook up the world of Instagram with his video announcement of an upcoming collaboration with H&M. Over the years, the retail giant has teamed up with a number of designers – Stella McCartney, Karl Lagerfeld, Lanvin, Versace, and Isabel Marant just to name a few – but Alexander Wang is the first American designer and the youngest, at the age of thirty. Needless to say, we can expect the line to be contemporary and youthful. The partnership is a particular honor for Wang because it marks the tenth anniversary of collaborations for the brand. Start the countdown. The collection is set to debut online and at 250 H&M stores worldwide Thursday, November 6, 2014. Artist Gabriella Cetrulo in Stone Cold Fox x UO Embroidered Button Front Maxi Dress, $149, photographed by Marcelo Gomes. You may have heard the recent buzz about Urban Outfitters new shopping haven in Williamsburg, New York. The concept store, Space Ninety 8, mimic’s the brand’s retail experience Space 15 Twenty located in Los Angeles. Space Ninety 8 is a marketplace in a four story warehouse in the heart of Willamsburg. The lower level of the space is home to rotating pop-up shops, one of which is Stone Cold Fox. Stone Cold Fox is a brand established by childhood friends Cydney and Dallas, both of whom share a passion for vintage wares. The pair gather inspiration from vintage clothing and aim to make it fresh again with each of their collections, including the one designed exclusively for UO. You can shop the collection on the UO site now, or if you’re an NYCer, head on over and check out the awesome pop-up shop in Williamsburg! In typical Banana Republic fashion, the brand has tapped a key designer of women’s fashion for its next collaborative collection. French fashion designer Roland Mouret has partnered with the retail powerhouse to design a luxurious and affordable capsule collection. Mouret is best known for his high end dresses with impeccable design and fit. In this line, the designer aims to create clothing that is both flattering and attainable. The collection consists of 25 sophisticated and structured pieces ranging from $50 to $165, which is a fraction of the designer’s label. Mark your calendars. 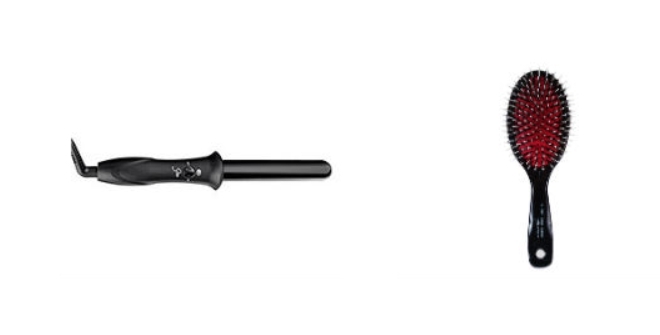 This line is set to launch in store and online in August of this year. You’ve got just about a mere week left before the highly anticipated Kate Moss for Topshop collection launches on Wednesday, April 30. The multi-talented English model drew inspiration from four distinct styles when creating the collection: a beachy/island vibe, “pajama dressing,” cocktail hour, and suiting/menswear. The diverse line will be available online and in-store at Topshop, Nordstrom, ShopBAZAAR and Net-a-Porter. With such diverse designs and prices ranging from $70 to $1200, there is truly something for everyone in this collaboration. Fashion and technology. They’re not a classic combination, but in this overwhelmingly digital world it’s only going to become more frequent that the two collide. You may have read my post last month on The Future of Online Shopping, in which I discuss how the digital age is shaping the way we shop. Today I’ve got two more fashion + tech mash-ups I want to share: Cuff, a line of technology infused jewelry, and ThirdLove, an app that will help you buy a better fitting bra. Let’s explore the latest in fashionable technology! 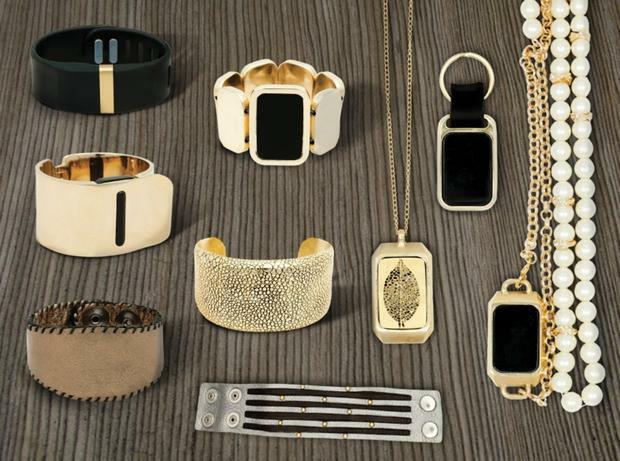 Cuff is a wearable technology developed by former Vice President of Product Development for the retail chain Restoration Hardware, Deepa Sood. Sood created a device called a CuffLinc that can be interchanged between a number of bracelets, necklaces, and key chains designed to hold the technology. So, what does it do? CuffLinc connects to a Cuff app on your smartphone via Bluetooth. When you squeeze the CuffLinc, a ping is sent to the designated person or people in the wearer’s network, either to their smartphones or to their Cuff device in the form of a vibration. The primary intended use for the device is in a distressing situation, such as getting lost out on a run in a new city. The alerts are fully customization, for example your babysitter might use three squeezes to alert you there’s something wrong with one of the kids while you’re at a play or your elderly grandparent might use two squeezes to alert you they’re in need. The device is also waterproof, has a battery life of one year, and is pretty reasonably priced, particularly compared to some of its wearable tech counterparts. The CuffLinc itself is $30, and the compatible jewelry and accessories range from about $35 to $125. Currently, all of the Cuff technology is available for pre-order and is set to release later this year, likely in the fall. The brand also has plans to partner with other fashion designers in the future to created Cuff-compatible products. As women we know one of the most difficult items to shop for is a properly fitting bra. According to a Women’s Wear Daily survey of 10,000 woman, 64% of women are wearing the wrong size bra and of that 64%, 29% admit to knowing they’re wearing the wrong size bra! I got a bra fitting as a twenty-first birthday gift, and as over dramatic as it is to say, it was literally life changing. I’m a large-busted girl, particularly for my petite 5’2″ frame, and after wearing the right size bra, I realized my clothes fit better and my bust actually looked smaller even though my bra was bigger. Thirdlove is taking bra fitting to a whole new level, one they argue is actually more effective than an in person fitting. The San Francisco based start-up created a mobile app that pairs with computer vision technology. So, how does it work? You use the Thirdlove mobile app on your smartphone to take a photo of yourself in a tank in front of a mirror (it’s a little more specific than that, but the nice lady on the app walks you through the steps completely). Then, the partnered computer vision technology analyzes the 2-D image to extract 3-D data used to generate your bra size. Thirdlove also sells their own line of lingerie, including sizing redefined with half cup sizes and in between band sizes and bra personalizations of color and style. The app is free and you can browse their site, so give it a try and see for yourself! When a new season comes around, we know that means a new round of ad campaigns. Typically, there is chatter about who will be the new faces of fashion for the next season, but until official announcements are made or images from the upcoming campaign are leaked, we eagerly wait with anticipation. For three major brands, the results are in whether they like it or not. Without further ado, here are three of the new faces of fashion! Spanish clothing and accessories retailer Zara is going for the every-girl in their Spring 2014 look book, titled “Zara Pictures.” The international brand scored four global fashionistas for the campaign: former Moda Operandi creative director Taylor Tomasi Hill, former Barney’s New York fashion director Amanda Brooks, The Paris Review’s Hailey Gates, and Elle China’s editor Sherry Shen. The ladies are no stranger to wearing looks fresh off the runway, but in this campaign, they show us they are just regular gals like the rest of us as they rock affordable ensembles from Zara. Each lady is featured in looks that mirror her personal style, and the campaign reflects a laid back, street style blogger vibe. You can view the full “Zara Pictures” look book here. Last week, Bobbi Brown announced the new face of her cosmetics line will be supermodel Kate Upton. Upton will be the second celebrity spokesperson for the popular cosmetics brand, following Katie Holmes, and the first blonde model featured in a Bobbi Brown campaign. Many know Kate Upton as a Sports Illustrated swimsuit model, but now Upton is looking forward to a new role as a beauty role model for women. The first aspect of the campaign, currently featured on Bobbi Brown’s site, focuses on “Confident Beauty.” The campaign goes on to read, “Everything starts with confidence: it’s the secret that makes a woman most beautiful. That’s why we chose Kate Upton – the epitome of stunning and confident beauty – to be the face of Bobbi Brown this season.” As if we needed another reason to love Kate Upton, she’ll now have the opportunity to showcase her beauty inside and out! You may have heard a little rumor floating around back in December about the new face of Chanel. Well, the rumors are true: Kristen Stewart is the star of Chanel’s new Pre-Fall 2014 campaign, Paris-Dallas. Chanel debuted the Paris-Dallas collection in Dallas, Texas last December. In typical Karl Lagerfeld fashion, the show was over the top. However, it was also highly controversial because of the continued concern with cultural appropriation within the fashion industry. Aside from the more ornate looks, the collection also includes a number of very wearable pieces inspired by the American West. Thanks to what I perceive as a leak on Instagram (because the photos have since been removed from the account), we have a first look at some of the images from the campaign, which were shot by Lagerfeld himself. The official campaign is set to debut in May, so be prepared to hit your local newsstand in the next couple months.